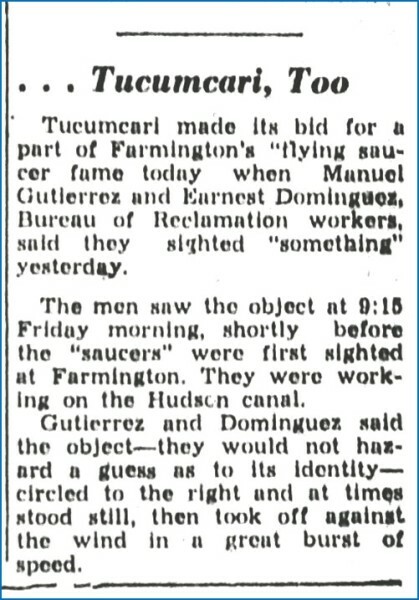 In March of 1950, reports of hundreds of “flying saucers” were reported in broad daylight by thousands of eyewitnesses in Farmington, NM. This incredible episode transpired over a full three day period. Many people have heard of this incident. However, not much thorough research has been done regarding it in over 68 years since the events occurred. This presentation will delve into the newspaper reports, investigators’ notes, and possible photographic evidence from the time period. Recorded interviews with eyewitnesses will also be discussed. Much of this material has never been made public before now. This examination will show that what occurred in Farmington, NM in 1950 was the tip of the iceberg when it came to overall UFO activity that year. It stands out as one of the most dramatic and well-documented cases in the history of the UFO phenomenon. When people associate the State of New Mexico with the subject of UFOs, it usually evokes memories of the famous Roswell UFO incident. This involved the purported military recovery of a crashed flying saucer outside of Roswell, NM in July 1947. As far as sensationalism goes, nothing could capture the imagination more than that. Or could it? What many people are not aware of, is that an equally dramatic (some would argue more dramatic) event occurred in the same State of New Mexico, but this time in the year 1950. Yes, just less than three years after the “Roswell incident”, flying saucers were making headlines again. This time, the UFO activity seemed to be focusing on the northwestern portion of New Mexico. Specifically, “flying saucers” were cavorting in the skies above the sleepy town of Farmington, NM for a period of three consecutive days. Farmington is situated in the far northwest corner of the State of New Mexico just 61 miles southeast of the Four Corners area. In 1950, the town had a population between 3,637 and 5,000 people. 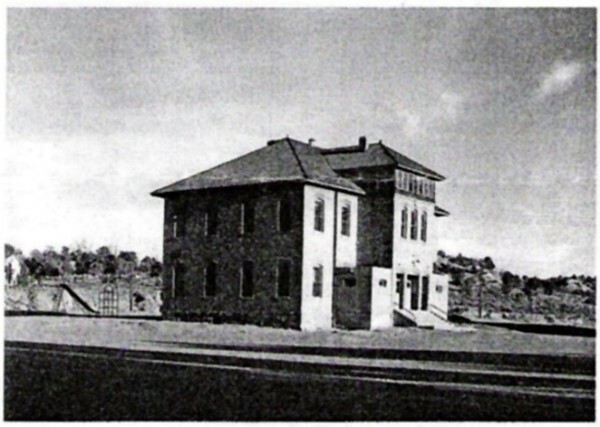 The town has had a long history tied to the production of petroleum, natural gas, and coal. The events recorded of this incident involved broad daylight UFO sightings – not ambiguous, nocturnal, light-in-the-sky reports as we are often accustomed to in this field. Townspeople reportedly witnessed structured and “substantial objects” as one witness was quoted at the time. The details of the sighting reports from the time paint a picture of an event that seems like the stuff of science fiction. However, these events did occur. What makes this case unique is not only the sightings themselves but the level in which they were documented at the time in newspapers. Both local and national news coverage took place as evidenced by the newspapers we still have access to today. These serve as historical records for us to explore when trying to gain insights into this series of events. We will examine some of these news reports. Interest in this event by military officials is also evident based on declassified United States Air Force (USAF) documents from that time period. In addition, eyewitnesses interviewed conveyed that they were approached by “government” or “military” officials making inquiries regarding their sighting reports in the weeks, months, and years following the event. We shall review this testimony as well as a sampling of these military records. Juxtaposed with the interest on the part of news reporters and government/military officials regarding this case, is a dearth of documented interest on the part of the fledgling UFO community. However, we must acknowledge this incident did occur in 1950 prior to the development of some of most credible UFO research organizations from the 1950s such as the Aerial Phenomena Research Organization (APRO) founded in 1952 or the latter National Investigations Committee on Aerial Phenomena (NICAP) founded in 1956. Despite this, in the years and decades following the event, little if anything was written or seriously investigated from the standpoint of the UFO community. This is an egregious oversight in my opinion. From an investigative standpoint, UFO researchers prefer cases that have corroborative testimony as opposed to a solitary eyewitness’ testimony. This case purportedly involved hundreds to thousands of eyewitnesses! Investigators also look to any documentation that bolsters the eyewitnesses’ statements. We have this in the form of newspaper reports and military documents. What more does the UFO research community want? Photographs? In this case, we may have that as well. However, we shall explore that later in our investigation. Despite the typo in the sub-title “Crafts Seen By Hudreds”, the article in no way loses its impact. Some of the salient points we should mention included the reference to the objects having speeds “at 1000 M.P.H.” as well as them operating around “20,000 Feet.” Further investigation on my part shows that multiple overflights (both solitary objects and groups of objects) occurred during this three day period at multiple altitudes coming from, and going to, multiple directions. There appears to be no consistency to the various overflights in these respects. 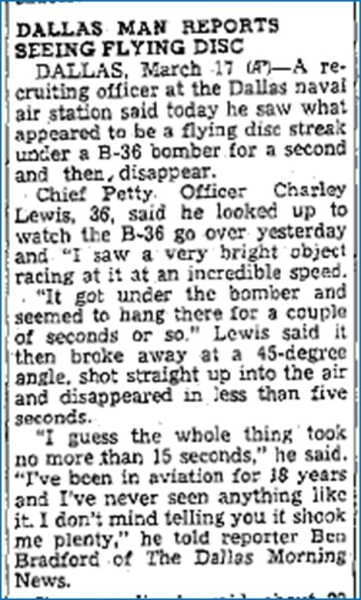 The sighting reports in the Farmington Daily Times included descriptions involving “silvery discs” that “appeared to play tag high in the air” and then they were seen to have “streaked away at incredible speeds.” One eyewitness stated they “travelled at a speed that appeared to him to be about 10 times faster than that of jet planes.” He also noted the objects “frequently made right-angle turns.” Other anomalous objects were discussed. Adding to the confusion over the years, is the news article itself. Despite documenting the details of three days’ worth of activity, it does not parse out what occurred on each separate day. Rather, it rolls it all together into one story. This has led some over the years who did reference the case briefly to allude to the fact it occurred only on one day - Friday, March 17th, 1950. This is not the case! My research has allowed me to break this testimony down to their respective dates and thus paint a true representation of what occurred. What is important regarding the article, from an investigative standpoint, is that the article does mention 13 witnesses by name. Due to the passage of time and based on my research, I have found that only one witness mentioned by name in the 1950 article was still alive to speak about these events. His name is Marlo Webb (erroneously spelled “Marlow” in the newspaper). Mr. Webb is a sharp 90+ year old business owner who still goes to work each day at his very successful family-owned operation in Farmington, NM. A lifelong resident, he has owned and managed multiple businesses and served on numerous committees including the Chamber of Commerce and was also Mayor of Farmington in the 1970s. He has been a licensed pilot for decades and was also a Naval Aviator in World War 2. He is an amazing man for his age whose mental acuity is beyond question for anyone that would meet him. 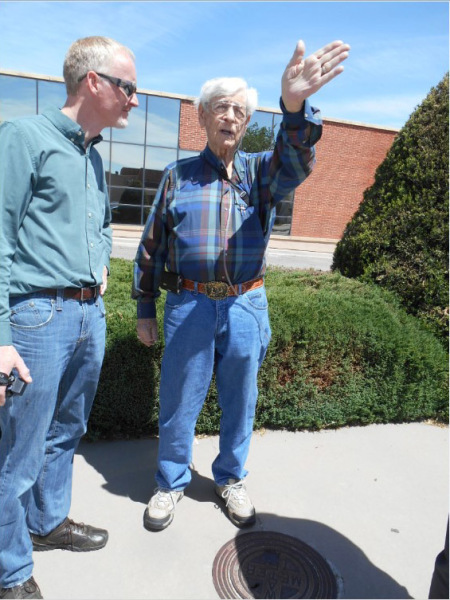 What is intriguing about this man is, not only that he was a witness to the objects that passed over Farmington in March 1950, but that he witnessed them on the first day – Thurs. March 16th. The three days of sightings seemed to develop with Thurs. March 16th having two overflights; Fri. March 17th having multiple overflights; and the third and final day, Sat. March 18th having subsequent sightings but with much fewer details. In my personal interviews with Mr. Webb, he conveyed that he was working in the Parts Department at the Perry Smoak Chevrolet Garage on Main Street in Farmington on the morning of Thurs. March 16th around 11am. While working inside, he noticed a group of several people standing out near the gas pumps in front of the garage. They were all looking up and pointing into the sky. His curiosity being piqued, he stepped outside with them. He witnessed a group of “objects” estimated to be 15 to 20 in number moving from the east heading west just north of their location (see photo). He added that the objects moved in a tight formation and maneuvered together making sharp turns at high speed. 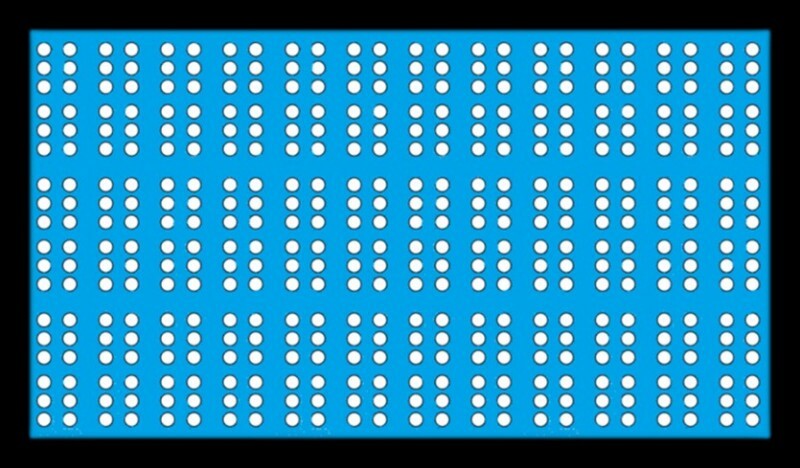 They had fuzzy outlines and had no discernable color due to their apparent distance. In addition, there was no noise evident. After observing these things for 5 to 10 minutes, the objects disappeared behind a group of trees that were situated behind the garage. Mr. Webb then proceeded back into the garage where he had to resume his job duties. Since then, he has steadfastly maintained over the decades that he doesn’t know what he saw and makes no claims otherwise. However, he firmly rejects any suggestion that these objects were simply leaves or other debris blowing in the wind. Like other witnesses, he stated he was interviewed by government agents on more than one occasion concerning what he observed that day. However, it must be stated that Mr. Webb was in no way intimidated or told not to speak of the event. He has spoken openly about this over the passing decades as have other witnesses without any negative repercussions. Unfortunately, conspiracy tales surrounding this event have surfaced. Tales of witnesses being threatened not to speak of the events are completely baseless. Although, there was one instance where a witness was asked by military officials not to participate in an upcoming media interview that was going to discuss the incident. There was also a spurious account that all the local newspapers from Saturday, March 18th, 1950 were gathered up by government agents to silence the story. They obviously didn’t do a good job, since you could readily look these up at the local college library on microfilm for years after the event or today they are now online. We will explore another baseless claim later when we examine the purported photographic evidence in this case. Whatever these objects were, they demonstrated sharp maneuverability in formation. They were not haphazard like leaves or other things blowing in the wind. They maintained position relative to one another whilst engaging in sharp maneuvers. 3:00pm to 3:15pm – Kirtland AFB in Albuquerque. Three objects observed by military witnesses (one Captain and three Tech Sergeants) that were seen to disappear to the north/northeast as documented in Air Force Project Blue Book files. Of particular note, in this last instance, is the reference to one “red object” in the formation of other objects. This was also documented at 10:30am and 11:15am in Farmington as the reader may have already noted. Numerous observers claimed they witnessed what some called a “red leader” amongst the group of otherwise silvery objects. This characteristic was a distinctive point many witnesses emphasized in their reporting. The late-UFO researcher, Dr. James McDonald, who was an Atmospheric Physicist for The University of Arizona in Tucson, was the rare exception as far as researchers who delved into this case, albeit years later. 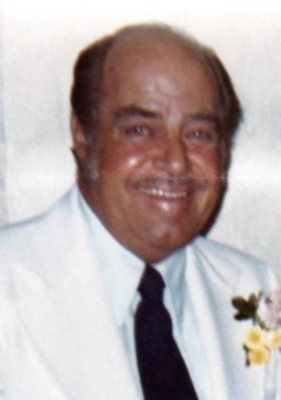 He took the time to call witnesses by phone and record some of the interviews in the late 1960s. 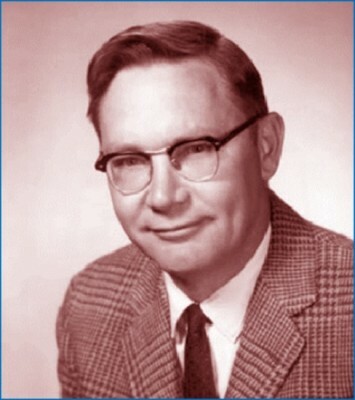 After his death, all of his UFO files were preserved and made available to the public at The University of Arizona in Tucson where he taught previously. I journeyed there on August 28th, 2015 to examine what he had collected specific to this case. To my knowledge, no one had ever accessed his material to look specifically at this case file. It should be noted that prior to me visiting the James McDonald Collection, we only had 13 witnesses in Farmington mentioned by name in the newspaper articles from the time. After reviewing and copying all his notes, I discovered 17 additional eyewitness’ names. Many of these “new” witnesses had accompanying interview notes thanks to the diligent efforts of Dr. McDonald. One such interview was conducted with Clayton Boddy on January 9th, 1968. Boddy related to McDonald that one particular group of objects were 20 to 30 in number. One red object was seen to be leading them. The attendant objects were silvery in color. They were observed to be flying in a tight formation, but not a “V” formation as such. The objects in general were described by Boddy as “substantial objects” that were observed for 3 to 4 minutes along with additional witnesses who were named in the newspaper. He emphasized they were not leaves or cotton blowing in the wind as many later tried to use as an explanation. Other witnesses related similar accounts with the “red leader” being larger and faster than the other objects. Dr. McDonald interviewed Mr. Marlo Webb back on January 9th, 1968 as well. It should be noted that, upon reviewing the audio recording of that interview, I was impressed that Mr. Webb’s testimony did not change in any significant way when compared to my interviews with him starting in September 2014. Despite the passage of time (46 years) and his progressing age, his testimony was consistent. Something that should be noted. Another living witness I had the pleasure of contacting through the assistance of fellow UFO researcher, Scott Ramsey, was Mr. Virgil Riggs. 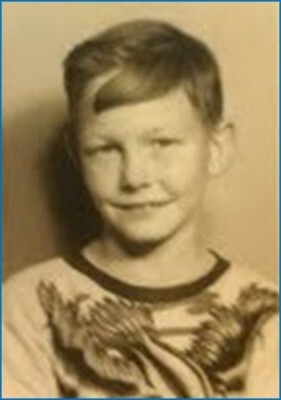 Unlike the previous witnesses mentioned, Mr. Riggs was a young boy in the year 1950. In addition, he was not in Farmington, NM. In fact, he was an eight year old boy attending third grade at Aztec Elementary School in Aztec, NM which lies roughly 13 miles to the northeast of Farmington. There is much more testimony and details that I have gathered that cannot be related here due to space limitations. Suffice-it-to say, there is no shortage of eyewitness testimony in this case. But now that we’ve had a small sampling of eyewitness testimony, the question remains: What is the official word regarding all of this on the part of the United States Air Force? After all, they were already engaged in their investigation of the UFO subject, since 1947. What were their conclusions? It may come as no surprise to those who have followed the history of the United States Air Force’s investigation into UFOs, that nothing significant was concluded regarding the Farmington incident. Certainly, the “explanations” they concocted for many classic flying saucer episodes defied logic and the facts in many cases. What is a surprise is that, upon a cursory review of Project Grudge files, there is no reference to Farmington, NM in March of 1950 whatsoever! 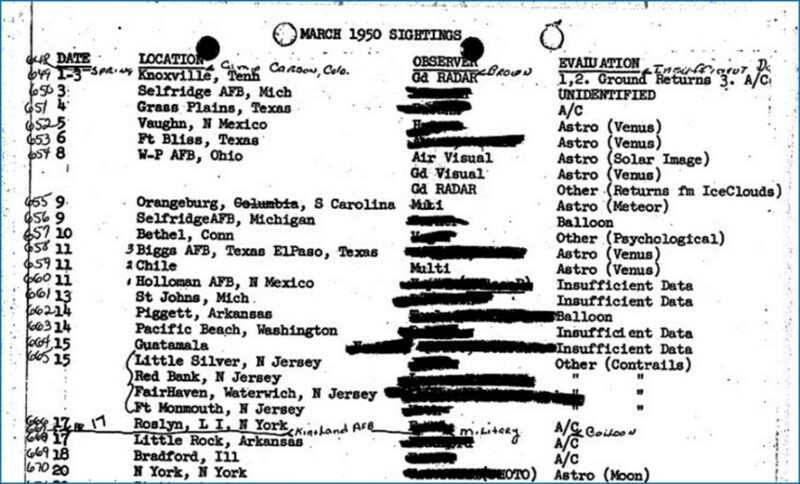 When one examines the tally sheet of sightings that month, there is no indication of anything occurring over Farmington, NM in the way of UFO activity. Strange considering the inordinate volume of objects observed by numerous witnesses! 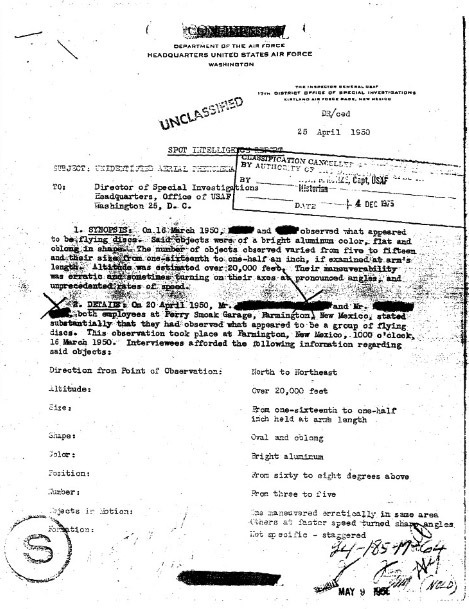 However, as I continued to dig further into their declassified files, I came across Air Force Office of Special Investigations (AFOSI) “Spot Intelligence Reports” dated April 25th, 1950 that references two sightings over Farmington, NM on Thursday, March 16th, 1950. Witnesses are quoted regarding their separate sightings of “flying discs” that were silver in color seen over Farmington around 10:00am and 11:00am that day. One of these was in reference to the sighting of Marlo Webb at the Perry Smoak garage that morning. 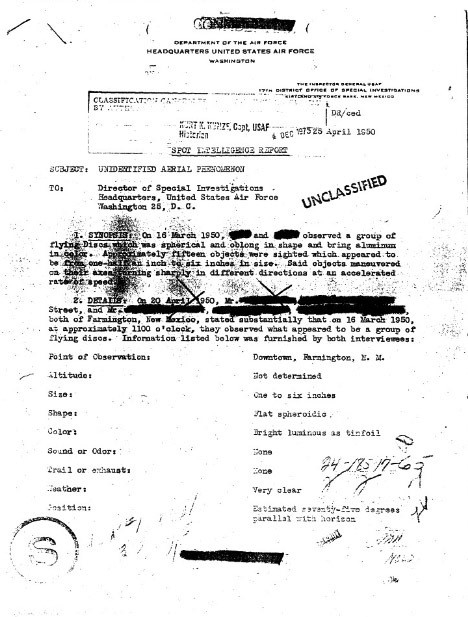 These documents, though short on details, does substantiate the fact the Unites States Air Force was aware of UFO sightings over Farmington in March 1950 at least by April 25th of that year. It also corroborates other references to sightings on that first day of March 16th. Despite the lack of detailed information in their files, the United States Air Force was not hesitant to offer an explanation for the Farmington, NM sightings. This would come in the way of Dr. Donald Menzel, Harvard Astronomer and voice piece for the Air Force during their earlier UFO investigations. Regardless of the man’s intellect and standing in the scientific community, his explanation defies both logic and common sense. In other words, it has all the hallmarks of an officially-sanctioned Air Force explanation for UFOs. 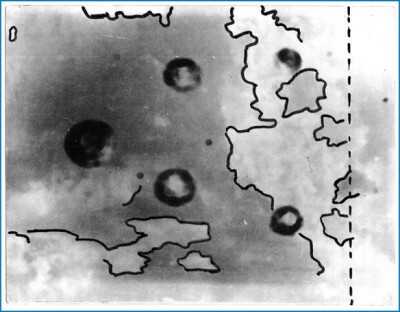 In a nutshell, Menzel proposed the “explanation” for the Farmington “saucer armada” as fragments of a ruptured high-altitude U.S. Navy Skyhook balloon. According to Menzel, a Skyhook balloon was launched from Holloman AFB on the morning of Friday, March 17th which eventually drifted over Farmington and ascended into the upper atmosphere where it eventually ruptured. This created a shower of balloon fragments that glistened in the sky and blew in the air. These were erroneously identified as “flying saucers” by townspeople who just happened to witness this spectacle on St. Patrick’s Day! I think you can gather the subtext of this statement, viz., drunk eyewitnesses. 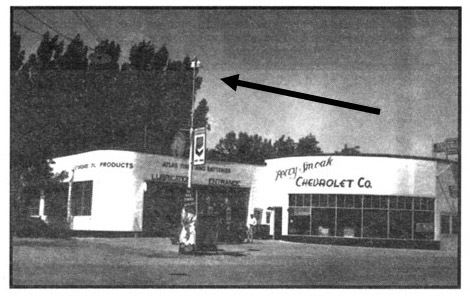 This was the source of the Farmington UFO sightings in March 1950. It sounds like a plausible explanation on the face of it. However, the balloon fragment explanation flies in the face of simple facts. First, this only explains sightings over Farmington on Friday, March 17th (the second day). What about the previous day of sightings that are documented as well as the day after? One of which, the day before on March 16th, we have the Air Force’s own documentation to support it occurred. Were the citizens of Farmington drinking a day earlier in order to rush in the St. Patrick’s Day holiday? Second, as thoroughly researched by Dr. James McDonald years later, there appeared to be no documented Skyhook balloon launches around this timeframe. 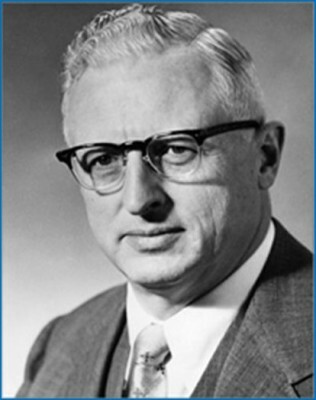 In fact, a man by the name of Henry Dembowski who reviewed the Office of Naval Research (ONR) files for that time period for McDonald concluded as noted in McDonald’s own notes: “No Skyhook flights anywhere in country on 3/17 or 3/18 (1950). Nearest flight in time was released from Minnesota and terminated over Michigan.” Clearly then, a Skyhook balloon cannot be entertained as a plausible explanation in this case. We must also pause to reflect on what else was going on at the time beyond just Farmington and other parts of New Mexico. 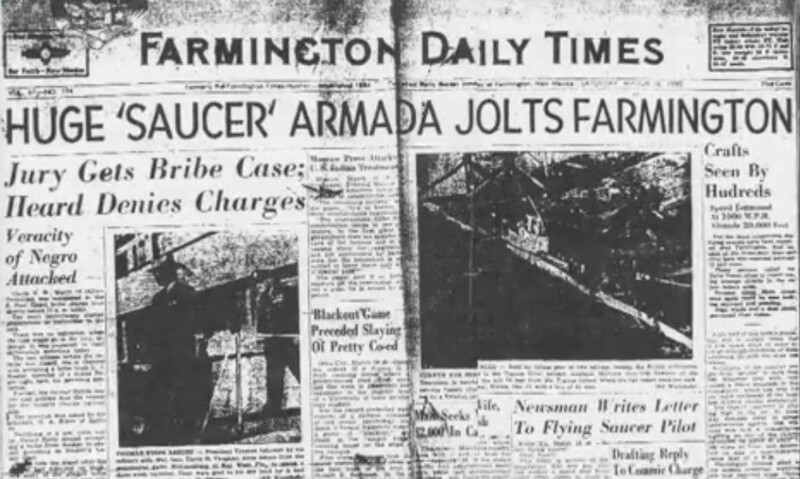 In my review of this case and related historical newspaper accounts, I was amazed at the volume of UFO sightings that were occurring prior to, during, and after the incident. In fact, as you will see, a wave of UFO sightings was gripping the southwest portion of the United States as well as Mexico. Most of these were mass-eyewitness occurrences involving, again, multiple UFOs seen in broad daylight. Again, they are too numerous to discuss them all here, but we will review a few. The United States certainly had no monopoly on flying saucers in March 1950 or for that matter prior to that time. But between the southwest portion of the United States and Mexico, the following cities had overflights of “saucers”: Farmington, Eunice, Las Vegas, Tucumcari, Santa Fe, Albuquerque, and Los Alamos (all in New Mexico), Durango and Pikes Peak (in Colorado), Abilene, Dallas, and Brownsville (in Texas) in addition to Monterrey and Mexico City in Mexico. These are just some of the reported areas of activity to note. Coincidentally, on that same date, a flying saucer sighting occurred back in New Mexico in the southeast corner of the State. A couple reportedly witnessed a red flying disc described as “a solid red revolving circle” at 10:00pm according to the Santa Fe New Mexican dated March 14th. The silent, low-flying object moved slowly over the town of Eunice heading east before quickly turning to the north and accelerating at a blistering speed until it disappeared. Was this the “red leader” that Farmington and Tucumcari residents would see and report later that same week? Regardless, it demonstrates that UFOs were being seen on the same dates in both Mexico and the United States. The same day of the 17th, flying saucers seemed to be on the increase over Texas and Mexico as well as Farmington. 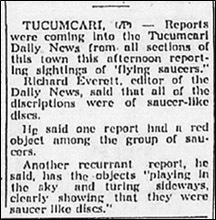 This is evidenced by the front page banner headline in The Brownsville Herald newspaper of Sunday, March 19th: “FLYING SAUCERS SIGHTED OVER BROWNSVILLE; MORE IN SOUTHWEST.” It also had the sub-titled article “STILL MORE SAUCERS: 50 Persons Report Discs Over New Mexico; Cuba, Mexico Also.” The newspaper, whilst dealing with other UFO-related reports, focuses on a local sighting witnessed by a fruit store owner and airline pilot, Amado Toriz. Toriz and a number of school children witnessed three shiny, silver, round-shaped objects in the sky around 12:45pm on Friday the 17th all moving with a tremendous revolving speed. Two objects were observed moving to the south and one to the southwest, which would have put them all headed towards Mexico, since Brownsville is a border-town. 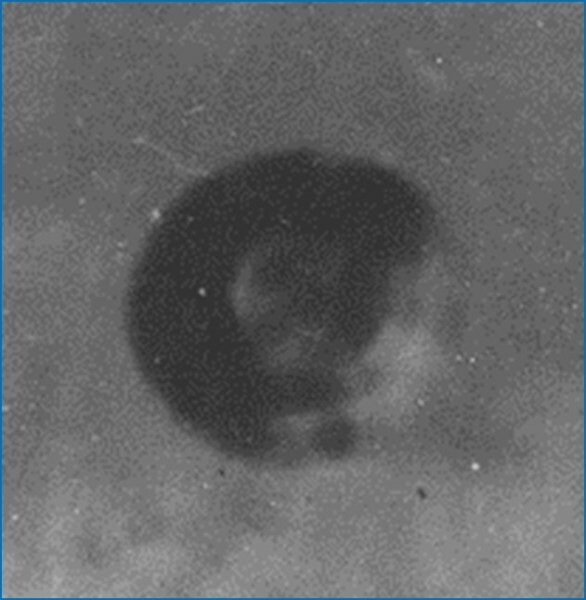 Now that we’ve established that flying saucer reports were prevalent in Mexico as well as the southwestern portion of the United States in March of 1950, let us discuss one last item pertinent to our investigation – photographs. With the vast number of witnesses to these events discussed, it seems logical that someone somewhere may have snapped a photo or two of these elusive aerial objects. Correct? Until recently, no reference was ever made to possible photographs tied to this case. But as already mentioned, no serious level of investigation had been done on this case with the exception of the work done by Dr. James McDonald. But, on October 11th, 2013, things changed. The Arizona-based UFO investigative/research organization, Open Minds, posted a story revolving around a photograph from the late Wendelle Stevens’ photo collection. The black and white photograph has a backdrop of clouds with a number of circular objects of varying size apparently in the foreground. Wendelle, who was a well-known UFO researcher, passed away on Sept. 7th, 2010, but the question of how Wendelle came upon this photograph is answered by him in a 1996 VHS UFO documentary series entitled “From Beyond.” On the video tape episode entitled “UFO Sightings: Photographic Evidence”, Wendelle gives the details. Before analyzing these statements, let me be very clear in stating that I am of the conviction Wendelle Stevens was telling what he believed to be the truth based on what he did or did not know regarding this case and related photograph. I believe he was relaying the story as it was told to him. That being said, I believe he was told a tall tale by someone, since the facts simply do not support this story. We shall address these facts now. First, as previously mentioned, no one indicated any level of intimidation. In fact, in speaking with me directly, eyewitness Marlo Webb scoffed at the notion that military / government representatives threatened anyone to keep silent on the matter. Further, he humorously remarked to me the “agents” that spoke with him asked some questions, but nothing to the extent of the questions that I posed to him decades later. He suggested they seemed interested but not overly interested in his testimony. There were also no references to said threats whatsoever in Dr. McDonald’s interview notes or audio recordings of interviews with witnesses. There is simply no evidence of this. Next, we must examine the reference to Durango, Colorado. I have taken the time to systematically review all the newspapers from Durango from 1950. In fact, there were only two at the time: Durango-Herald Democrat and The Durango News. In reviewing all the issues from the time of the sighting well into the year 1951, there is not one article featuring the photograph in-question in either of these newspapers. I can’t say more than that. The article with photograph simply don’t exist… as far as the Durango connection goes. The next question we must try to answer is: Where does this photo originate from? Another follow-up question to that would be: Is this even a photograph from Farmington, NM? If Wendelle was under the false pretense this originated from Farmington via Durango and we’ve proven the Durango link to be false, is the Farmington origination reference bogus as well? This I needed to explore further. As I was researching this case, I was (and always am) looking for historical UFO material for my ever-growing and extensive library on the subject. I stumbled across a vintage photograph for sale online that was similar to the photograph Wendelle referenced. However, the photo, which I ultimately purchased and now own, appeared to be an uncropped and much larger version of what was in Wendelle’s possession. What’s more, is that my copy is an original black and white 8x10 glossy photo complete with a news teletype glued to its back side. This teletype references the photograph and the related news article it was attached to back in 1950, which is the year the article is dated. Claimed to be the first sensational picture of the mysterious objects popularly known as Flying Saucers, this photograph is reproduced from this week’s issue of ‘The Teen-Age Times’, a weekly newspaper published in Dublin. 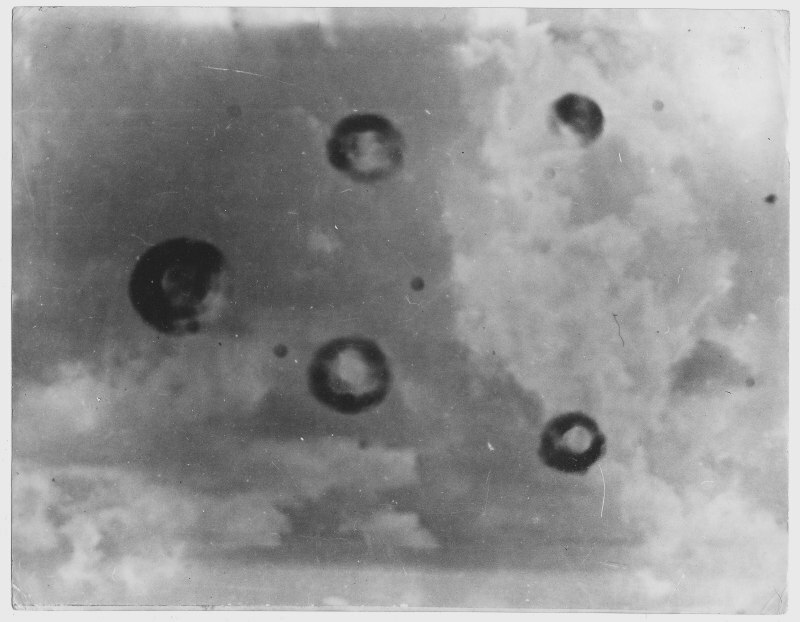 The photograph, which shows five round shaped objects in echelon formation through clouds, is accompanied by a news story which states that the flying saucers are the fore-runners of the Suspension Bomb or Space Station loaded with ‘A’ and ‘H’ bombs which can be maintained in a stationary position over any point on the earth's surface for any length of time and then caused to fall on any pre-arranged target. My next step was trying to track down the original news story in the Teen-Age Times from Dublin, Ireland. For months, I scoured the internet attempting to track down any and all references to this publication. Unfortunately, it was to no avail. I couldn’t locate anything other than a few references back to the photo which I now had in my collection and the related news teletype I previously quoted. Finally, after contacting individual libraries in Ireland by email and reviewing online inventories one after the other, I made a discovery. I found that the National Library of Ireland located in Dublin had, in its holdings, the original hard copies of the Teen-Age Times. The difficulties in obtaining information on this newspaper I found were two-fold. First, no digital copies were ever made. Only the hard copies existed. Second, apparently based on what I’ve been able to determine, this newspaper was only published from Nov. 1949 to April 1950. After placing an order for digital scans of the issue in-question, I received the following front page article with an accompanying photograph. What immediately struck me as odd was the photograph. There was something not quite right with it. Very quickly, I realized the photograph was similar to the one in my possession, but not identical! To my great surprise, I noticed that this new photo and the previous photo I had were apparently two in a series of photographs taken. This is evident when examining both side-by-side and highlighting the objects themselves and the cloud formations in the background. Of course, we cannot say which photo was taken first or for that matter which direction the clouds and/or objects are moving. I would postulate that it is possible the original photo may have been taken first followed by the Teen-Age Times photo taken moments later. I only suggest this assuming this formation may have been flying in an echelon or “V” formation with the larger object to the left being the lead object. Again, nothing is certain on this since we still don’t know who took the photo or for that matter where the photo was taken. Subsequent to the photo being published in the Teen-Age Times, I doubt anyone had given it a second thought. I certainly had never seen this photo published anywhere before in UFO literature or the internet for that matter. The one in my possession has only been reproduced in a handful of publications over the years. But when it was published, no reference was ever made to the provenance of the photograph itself. I conducted an exhaustive search in newspaper archives and online for the source of either of these photos with no positive results. So the questions remain: Where was this photo taken? Who took the photo? We have already debunked the story relayed to Wendelle Stevens regarding the photo being published in Durango, Colorado. So, without this, there is no definitive tie to Farmington, NM. In addition, we must look at the cloud formations in both photos. These appear to be cumulus clouds. This simply doesn’t match the clouds reported over Farmington, NM at the times of the sightings. Records reflect there were either clear skies or a light scattering of cirrus clouds – not cumulus clouds. More and more indications suggest these photographs are not of the Farmington, NM flying saucer armada. That being said, we must acknowledge two important points that still make these photos intriguing to our line of inquiry. First, we cannot ascertain where the photos were taken. But, we can establish roughly when they were taken. 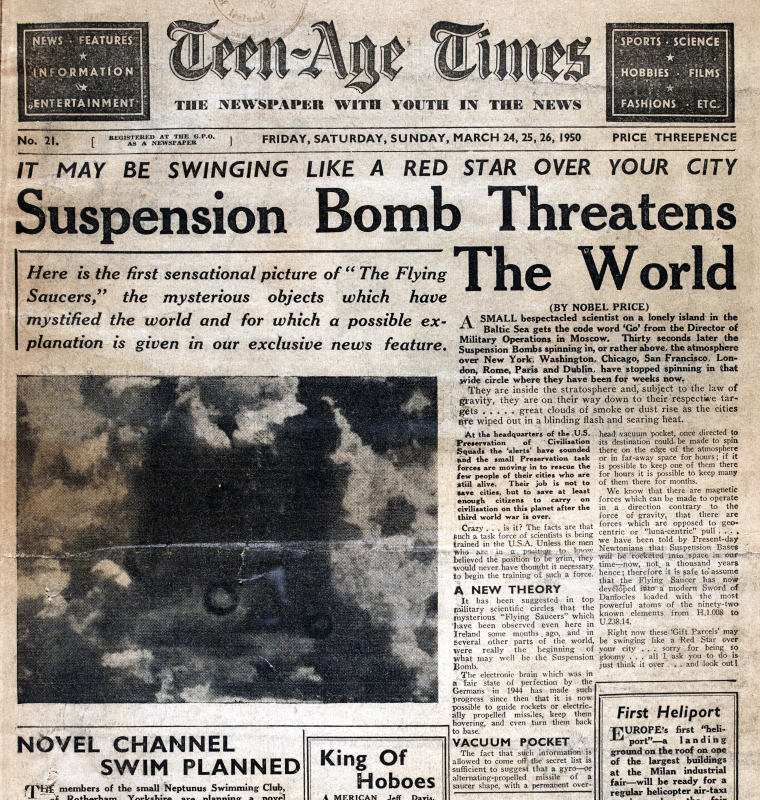 Our only lead is the date of the Teen-Age Times news article: March 24th, 1950. The date of the news teletype being dated the following day, March 25th, 1950. All we can state is that these photos, whether legitimate UFO photos or not, had to be taken prior to March 24th, 1950. It is interesting to note that this was just 7 days after the largest display of UFOs over Farmington, NM on Friday, March 17th. Coincidence? Second, we cannot avoid some details regarding the mysterious objects in the photos. The obvious one being they appear to be flying in a formation. 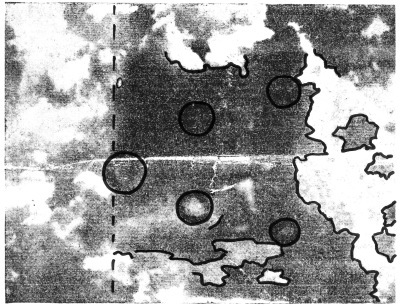 Many witnesses from Farmington stated the objects observed were “in formation.” Descriptions of these varied depending on the day and times of the overflights. But “formations” were noted. Another detail was provided by one of the eyewitnesses quoted in the Lubbock Morning Avalanche on March 18th, 1950. He was a naval veteran and private pilot who described the Farmington UFO spectacle as looking like an object appearing to be red in the center of the formation, surrounded by silvery discs. He stated, that they were "perfect replicas of a dinner table plate—even to the bottom ring." The article further noted that six men saw the objects with him. When we examine the object to the far-left and enlarge it, it does take on the appearance a dinner plate with a “bottom ring” visible. Another coincidence? One last detail worth mentioning is that, assuming the objects seen in the photos are moving in an echelon or “V” formation, this would make the far-left object the “lead object.” This again assumes the formation is moving in a right-to-left trajectory relative to the photographer who apparently was looking straight up while taking these photos. Numerous witnesses, as referenced earlier, made note of a “red leader.” This object was described as being larger and faster than the other objects. The far-left object does appear larger than the other attendant objects in the photos. We cannot establish if the object was red in color, since it is a black and white photograph. However, it is one last detail worth taking into account. So, in the final analysis, what is the judgement regarding the photographs? In my humble opinion, I feel confident in saying the photographs were NOT taken in Farmington, NM in March 1950. I make this decision based partly on the clouds in the photographs not matching clouds seen over Farmington on the days in-question. But also, I make this decision based on the complete absence of the photographs appearing in the Farmington or Durango newspapers during this time period. For that matter, after reviewing the vast majority of newspapers across the country around this period, I found no appearance of these photos anywhere. The only source of the photos ties back to Dublin, Ireland and the Teenage-Times newspaper. This is just a bit of a distance from Farmington, NM! Unfortunately, attempts to investigate this short-lived newspaper further has gone nowhere. It is possible the original photographs and, more importantly, original negatives have long since vanished. 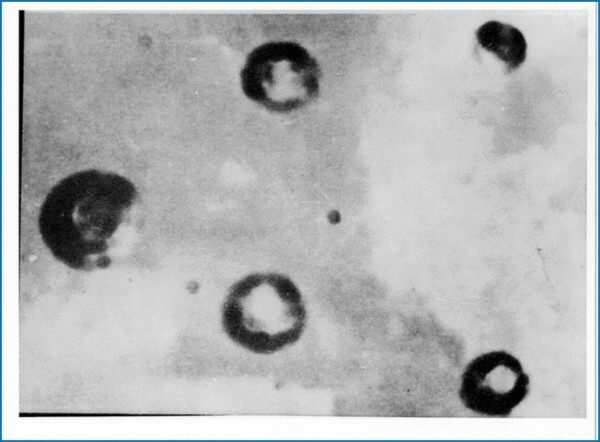 If (the operative word here) these photos are genuine UFO photographs (not a hoax), it is suggestive (not conclusive) that these may be photographs of the same (or similar) objects that were observed over Farmington, NM on the three days in March of 1950, but taken elsewhere around the same general timeframe. Questions remain surrounding these mysterious photographs, but so too do questions still surround the UFO events in March of 1950. What was observed by hundreds, if not thousands, of eyewitnesses in Farmington, NM and other parts of the southwestern United States and Mexico? Like the majority of cases in this field, we are short on conclusive answers but this should not deter us from investigating things further. As this case illustrates, despite the passage of time and what we thought we knew regarding a UFO incident, even decades later new material can be uncovered. New material leads to new insights. Perhaps, these insights will be the foundation stones for the eventual understanding of this most enigmatic UFO subject.